More than 120 business, community, and opinion leaders and elected officials participated in the BizFed Institute’s NextUp Business Forum: Housing LA – Who Cares? 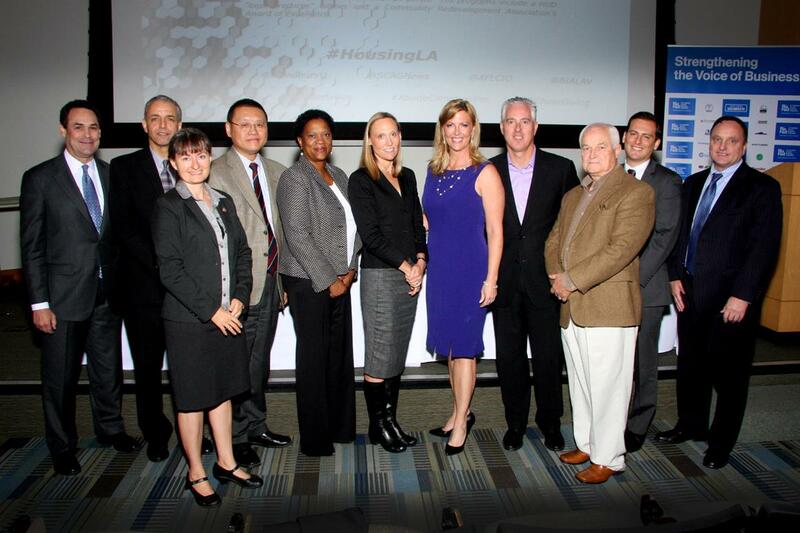 Affordable Housing for Economic Development on Oct. 23, 2014, at Woodbury University in Burbank. This major half-day educational event brought together top academic, governmental, and industry experts to address the opportunities and challenges associated with meeting our region’s housing and economic development needs.Provided as a service by the BizFed Institute, with support from JP Morgan Chase and the LA County Community Development Commission, this compendium of the proceedings provides critical intelligence to inform decision making moving forward. Click here to download the full presentation. Sean Rogan, Executive Director, LA County Community Development Commission/Housing Authority discussed the need for affordable housing by sharing many startling facts and resources. According to the LA CDC, Los Angeles County is the least affordable metropolitan area in country. One quarter of all households pay more than half of their income on housing costs, and of the most heavily crowded 1% of census tracts across the country, more than half are in LA and Orange Counties. With a shortfalll of 490,340 affordable homes in LA, widespread side effects present themselves. 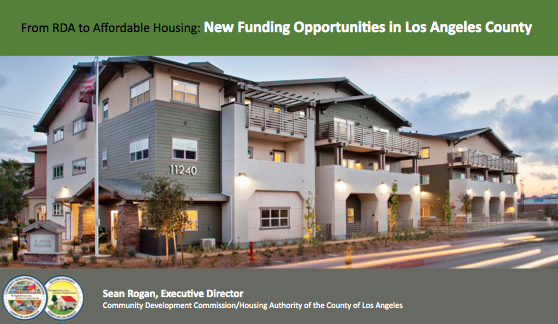 See the full presentation for detailed information about affordable housing funding, typical loan terms, general funds, and examples of eligible projects. Click here to download the full report. With regard to construction career policies, LA City Council has said that we just need to build more affordable housing – is that going to be enough? In terms of the subsidy gap in LA, is it worth looking into the the fee structure in place for new development in San Francisco as a model for development in LA? 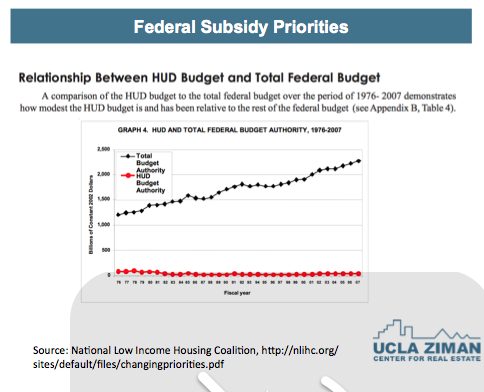 Inclusionary housing policies – good or bad for LA? Comprehensive approach to affordable housing should or should not include CEQA reform? Click here to download Robin Hughes’ full report. Click here to download Tim Piasky’s full report. Click here to download Jim Wong’s full report. LA has been a national leader in connecting construction to creating careers for low-income residents. Click here to download Ted Chandler’s full report. To see the images of the event, visit www.harveybranman.com. Scroll down to the Preview Gallery and type in AffordableHousing. Call (818) 954-9294 to order prints.